Four of the biggest technology firms - Apple, Google, Intel and Adobe - have settled a class action case alleging they conspired to hold down salaries. The case alleged that the firms agreed not to poach staff from each other, which it claimed prevented workers from getting better job offers. The firms did not disclose the details of the settlement. 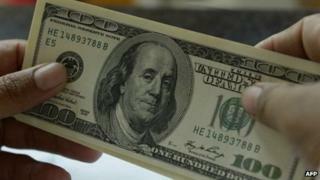 The US lawsuit had claimed $3bn (£1.8bn) in damages on behalf of more than 64,000 workers at the four firms. If the companies had lost the case and damages were awarded, they could have tripled to $9bn under US antitrust laws. The case was scheduled for hearing next month and was being closely watched for details about the alleged pact between the firms. According to some reports, one email exchange cited in the lawsuit shows Eric Schmidt, former chief executive of Google, telling Steve Jobs the former boss of Apple that a Google recruiter who solicited an Apple employee would be fired. Mr Jobs forwarded that note to the a top human resources executive at Apple with a smiley face. Another exchange shows Google's human resources directors asking Mr Schmidt about sharing the no-cold call pact with other competitors. "Schmidt responded that he preferred it be shared 'verbally, since I don't want to create a paper trail over which we can be sued later? '", the Reuters news agency quoted the court filing as saying. Google and Apple declined to comment. Some of the aggrieved employees in the class-action lawsuit worked at software maker Intuit and filmmakers Pixar Animation and Lucasfilm. Intuit, Pixar and Lucasfilm had previously negotiated a $20m settlement of the claims against them. That still needs court approval.